Once a year John Karal of Upper Saddle River leads the North Jersey Regional Model A Club in conducting car safety checks. 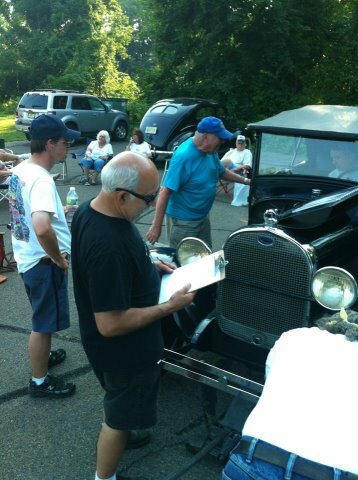 He and a team of Model A experts set up stations within a parking lot and members of the club look over the various systems in the car and make certain that they are working properly…. or at least close to properly. My Phaeton passed, which it wouldn’t have a year earlier. John did recommended I add some items to my “to do” list.